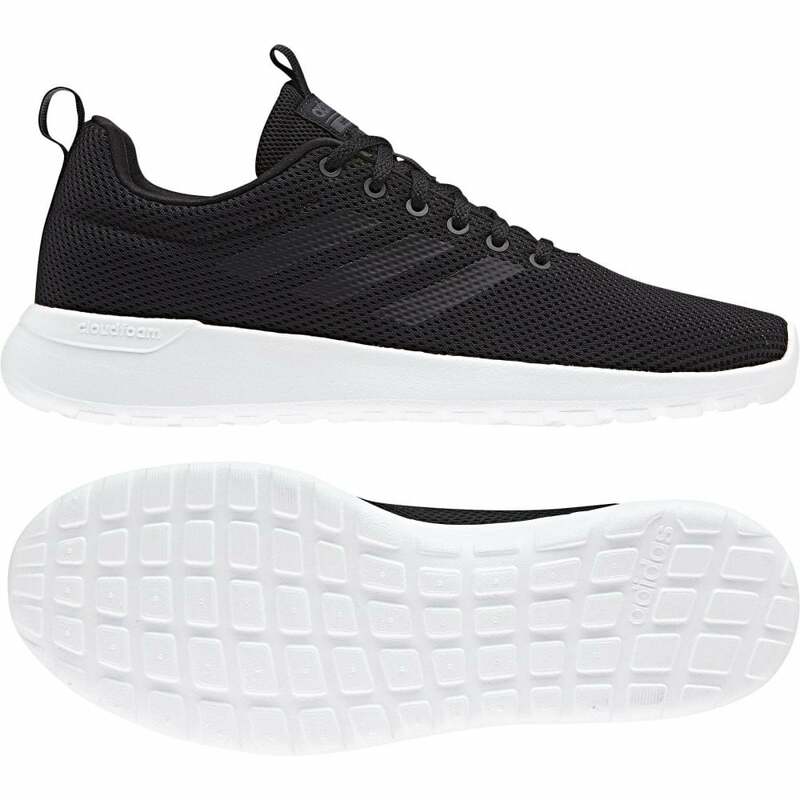 These lace-up ADIDAS Lite Racer CLN Trainers have a textile and synthetic mesh upper for added breathability and are black in colour. They have a padded textile lining with an ultra-soft cloudfoam cushioning insole and pull loops at the heel and tongue. ADIDAS branding appears at the tongue, side and sole. It has a thick, rubber sole in white have a textured waffle tread for added grip.